An acquisition is defined as a corporate transactionDeals & TransactionsResources and guide to understanding deals and transactions in investment banking, corporate development, and other areas of corporate finance. Download templates, read examples and learn about how deals are structured. Non-disclosure agreements, share purchase agreements, asset purchases, and more M&A resources where one company purchases a portion or all of another company’s sharesStockWhat is a stock? An individual who owns stock in a company is called a shareholder and is eligible to claim part of the company’s residual assets and earnings (should the company ever be dissolved). The terms "stock", "shares", and "equity" are used interchangeably. or assets. Acquisitions are typically made in order to take control and build on the target company’s weaknesses or strengths and capture synergiesM&A SynergiesM&A Synergies occur when the value of a merged company is higher than the sum of the two individual companies. 10 ways to estimate operational synergies in M&A deals are: 1) analyze headcount, 2) look at ways to consolidate vendors, 3) evaluate any head office or rent savings 4) estimate the value saved by sharing. There are several types of business combinations: acquisitions (both companies survive), mergersTypes of MergersA merger refers to an agreement in which two companies join together to form one company. In other words, a merger is the combination of two companies into a single legal entity. In this article, we will look at different types of mergers that companies can undergo. Types of Mergers There are five different types of (one company survives), and amalgamationsAmalgamationAmalgamation is the combination of two or more companies, known as a consolidation. In accounting an amalgamation, or consolidation, refers to the combination of financial statements. For example, a group of companies reports their financials on a consolidated basis (neither company survives). The acquiring company will buy the shares of the assets of the target company, which gives the acquiring company the powers to make decisions concerning the acquired assets without needing the approval of shareholdersStockholders EquityStockholders Equity (also known as Shareholders Equity) is an account on a company's balance sheet that consists of share capital plus retained earnings. It also represents the residual value of assets minus liabilities. By rearranging the original accounting equation, we get Stockholders Equity = Assets – Liabilities from the target company. Learn more about share deals vs asset dealsAsset Purchase vs Stock PurchaseAsset purchase vs stock purchase - two ways of buying out a company, and each method benefits the buyer and seller in different ways. This detailed guide explores and lists the pros, cons, as well as reasons for structuring either an asset deal or a stock deal in an M&A transaction..
Mergers and Acquisitions (M&A)Mergers Acquisitions M&A ProcessThis guide takes you through all the steps in the M&A process. Learn how mergers and acquisitions and deals are completed. In this guide, we'll outline the acquisition process from start to finish, the various types of acquirers (strategic vs. financial buys), the importance of synergies, and transaction costs are similar transactions, however, they are different legal constructs. In an acquisition, both companies continue to exist as separate legal entities. One of the companies becomes the parent company of the other. In a merger, both entities combine and only one continues to survive while the other company ceases to exist. Another type of transaction is an amalgamation, where neither legal entity continues to survive and an entirely new company is created. With M&A, a company is able to enter into new markets and product lines instantaneously with a brand that is already recognized, with a good reputation and an existing client base. An acquisition can help to overcome market entry barriers that were previously challenging and also reduce the risks of adverse reactions by competitors. Market entry can be a costly scheme for small businesses due to expenses in market research, development of a new product, and the time needed to build a substantial client base. An acquisition will help to increase the market share of your company quickly and reduce the competition’s stronghold. Even though competition can be challenging, growth through acquisition can be helpful in reducing the capacity of competitors and making things even. The process helps achieves market synergiesTypes of SynergiesM&A synergies can occur from cost savings or revenue upside. There are various types of synergies in mergers and acquisition. This guide provides examples. A synergy is any effect that increases the value of a merged firm above the combined value of the two separate firms. Synergies may arise in M&A transactions. A company can choose to take over other businesses to gain competencies and resources it does not hold currently. They can provide many benefits, such as rapid growth in revenuesSales RevenueSales revenue is the starting point of the income statement. Sales or revenue is the money earned from the company providing its goods or services, income or an improvement in the long-term financial position of the company, which makes it raising capital for growth strategies easier. Expansion and diversity can also help a company to withstand an economic slump. When small businesses join with larger businesses, they are able to access specialists such as financial, legal or human resource specialists. After an acquisition, access to capitalCapitalCapital is anything that increases one’s ability to generate value. It can be used to increase value across a wide range of categories such as financial, social, physical, intellectual, etc. In business and economics, the two most common types of capital are financial and human. Examples as a larger company is improved. Small business owners are usually forced to invest their own money in business growth due to the inability to access funds. However, with an acquisition, there is an availability of a greater level of capital, enabling business owners to acquire funds needed without the need to dip into their own pockets. M&A helps put together a new team of experts with fresh perspectives and ideas and who are passionate about helping the business reach its goals. M&A can be a good way to grow your business by increasing your revenues when you acquire a complimentary company that is able to contribute to your income. Nevertheless, M&A dealsDeals & TransactionsResources and guide to understanding deals and transactions in investment banking, corporate development, and other areas of corporate finance. Download templates, read examples and learn about how deals are structured. Non-disclosure agreements, share purchase agreements, asset purchases, and more M&A resources can also create some hitches and disadvantage your business. You must put these pitfalls into consideration before pursuing an acquisition. A company usually has its own distinct culture that has been developing since its inception. Acquiring a company that has a culture that conflicts with yours can be problematic. Employees and managers from both companies, as well as their activities, may not integrate as well as anticipated. Employees may also dislike the move, which may breed antagonism and anxiety. Acquisitions may lead to employees duplicating each other’s duties. When two similar businesses combine, there may be cases where two departments or people do the same activity. This can cause excessive costs on wages. These transactions will therefore often lead to reorganization and job cuts to maximize efficiencies in human resources and other processes. This can reduce employee morale and lead to low productivity. The two companies involved in the acquisition may have distinct objectives since they have been operating individually until the transaciton. For instance, the original company may want to expand into new markets, but the acquired company may be looking to cut costs. This can bring resistance within the acquisition that can undermine efforts being made. A business that doesn’t look for expert advice when trying to identify the most suitable company to acquire may end up targeting a company that brings more challenges to the equation than benefits. This can deny an otherwise productive company the chance to grow. 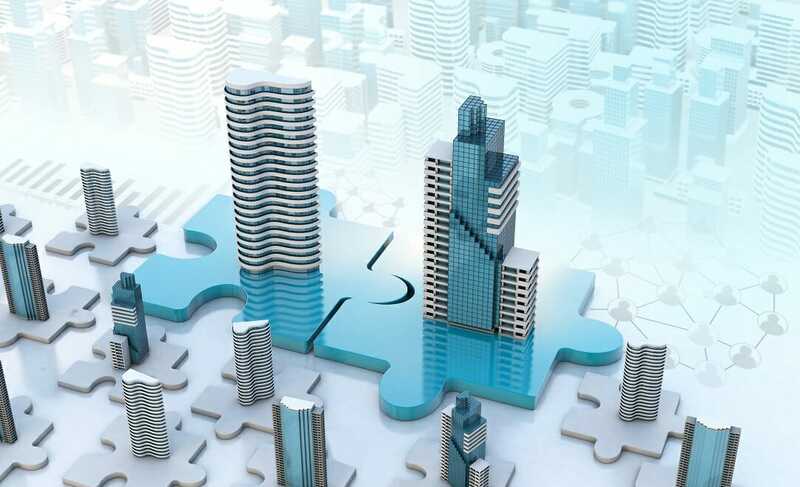 Following an acquisition, the capacity of the suppliers of the company may not be enough to provide the additional services, supplies, or materials that will be needed. This may cripple the operations of the acquisition. M&A may hurt the image of the new company or damage the existing brand. An evaluation on whether the two different brands should be kept separate must be done before the dealDeals & TransactionsResources and guide to understanding deals and transactions in investment banking, corporate development, and other areas of corporate finance. Download templates, read examples and learn about how deals are structured. Non-disclosure agreements, share purchase agreements, asset purchases, and more M&A resources is made. When a company is looking to expand, one way most business owners consider doing it is through the acquisition of another similar business. An acquisition is a great way for a company to achieve massive growth over a short period of time and is becoming among the most popular ways to achieve growth for businesses. 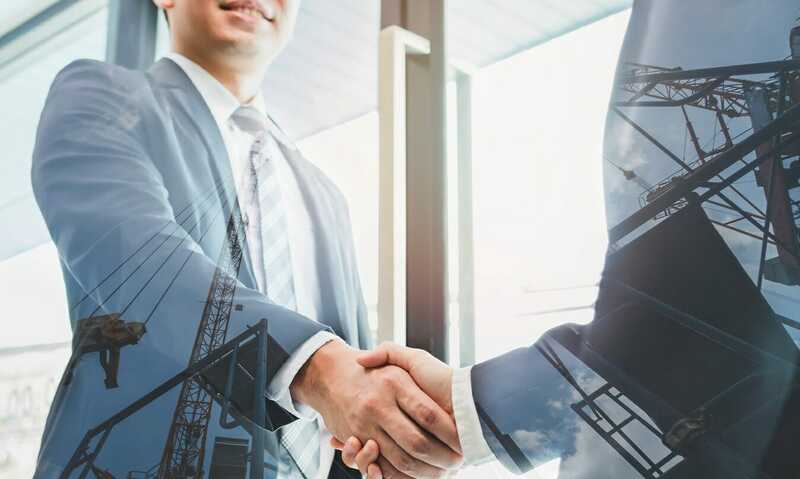 Companies usually choose to grow through M&A to improve market share, achieve synergies in their various operations, and gain control of assets. It is less expensive, less risky, and faster compared to traditional growth methods such as sales and marketing efforts. While an acquisition can cause substantial and rapid growth for a company, it can also cause some problematic issues along the way. It can be risky since several things can go wrong even when there is a well-laid plan. There may be a clash between the different cultures, synergies may not match, some key employees may be forced to leave, assets may have a lower value than perceived, or company objectives may conflict. However, due to the appeal of instant growth, M&A is still a popular way to expand. Companies consider acquiring other companies as a growth strategy since it can result in a larger, more cost-efficient and more competitive company. Before putting the acquisition of another business into consideration, it is essential to analyze the advantages and disadvantages that will be presented by the business deal. A well-executed strategic acquisition that takes advantage of the synergies can be one of the best ways for a company to achieve growth. Learn more in CFI’s Mergers and Acquisitions Course.